Dramatic and daring or elegant and refined, today’s necklaces are designed to shine a spotlight on your individual flair for fashion and your spectacular neckline. While the elegant diamond and gemstone pendant never goes out of style, the newest trends feature creative metals, bold elements and cascading, linear designs. Birthdays, graduations, professional accomplishments and special occasions are more memorable when celebrated with a necklace from Elite Fine Jewelry. Our fine selection of fashion pendants, diamond beauties, chains and chokers offer all of the choice and quality you seek at incredible pricing. Our highly trained staff members are knowledgeable in all aspects of the jewelry industry and are here to help you select the very best treasure for the occasion. There are a variety of issues you’ll want to consider when selecting the best trinket, and our staff members are delighted to guide you through the process. We feature spectacular selections with a variety of high quality components, including the most popular precious metals and vividly colored gemstones. 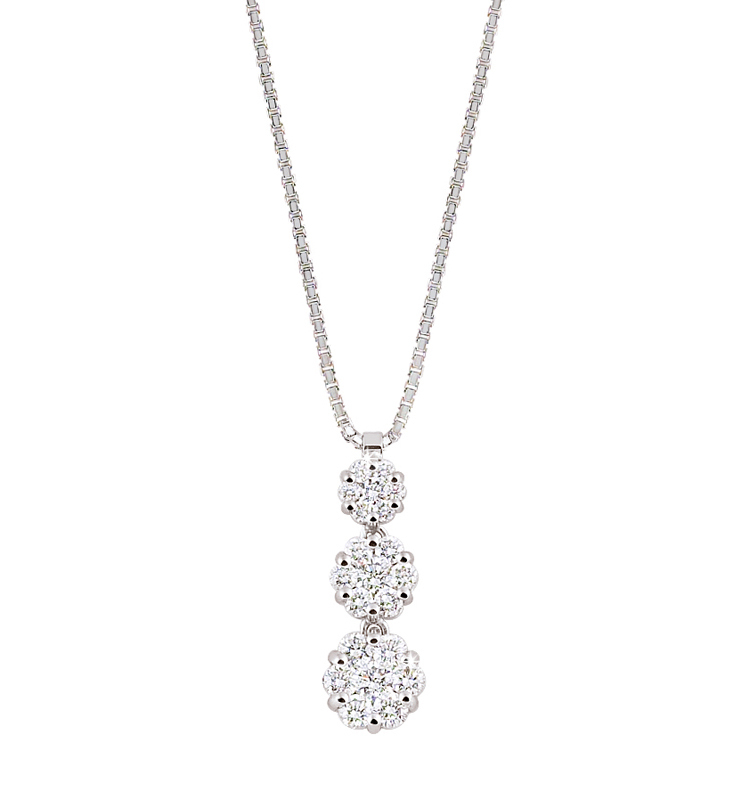 Let us take the guesswork out of selecting the ideal necklace for your gift or accessory. Drop by our prime Pacific Heights location or continue browsing through our site to experience our vast array.